CTE Logistics provides transportation services through an integrated network of LTL (less than truckload) and FTL (full truckload) freight carriers throughout the US and Canada. Our state-of-the-art website and extensive LTL network provides our clients the ability to choose carriers based on price, transit times, and service levels. Our clients are provided with a secure user name and password to access our LTL on-line quoting and shipping tool; providing them the ability to view shipping history, quotes, and tracking for both regional and national shipments – all from one site. Our system provides our clients with an accurate BOL (Bill of Lading) and even pallet labels upon the completion of the data input. Given a 2 hour window, CTE can pick up freight even without a phone call through our EDI system with our network of carriers. 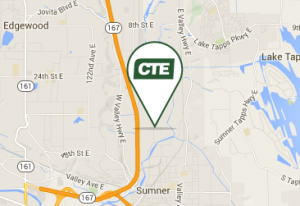 CTE Logistics is a licensed, bonded, and insured Freight Brokerage Company. We offer FTL , multi-stop, and expedited LTL services throughout the US and Canada via DOT licensed and insured motor carriers. We understand the importance of response time, shipment requirements, and updating our customers with up to date tracking information. Our dedicated team will monitor and handle each shipment with the highest level of importance. Call us today at 1-866-990-3090 to schedule a consultation!